Daniel is a 17-year-old student in 9th grade in An Binh Secondary School and he is one of TFCF sponsored children in Vietnam. ** Daniel is the fake name due to the privacy and safety of individuals is respected. We had spent around one week to install water purifier system at An Binh Secondary School and Tan Hanh Secondary School. During the installation, we found that there were water pressure issues in these two schools and caused the problem of water purifier system running. 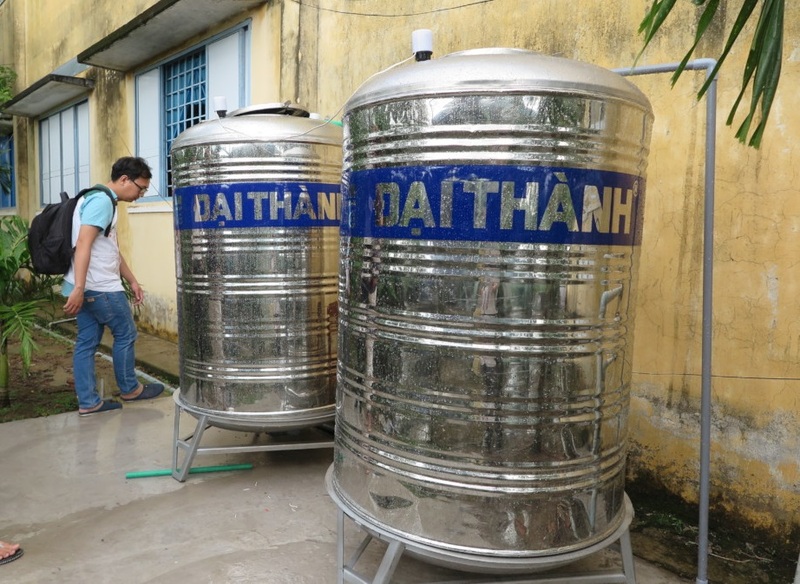 In order to fix the low water pressure problem, we added new water tank stands at Tan Hanh Secondary School and installed one more water tank at An Binh Secondary school. The supplier has collected and delivered filtering water samples for the examination by the government agency after all installation complete, and we are pleased to have received the certification and ensure to provide clean and safe water for children finally. We are very grateful for your support about our cause and make drinking water available to children in Vietnam.